Season the chicken with salt and pepper and top with Jarlsberg cheese and arugula. Roll up the chicken cutlet, Jarlsberg cheese and arugula. 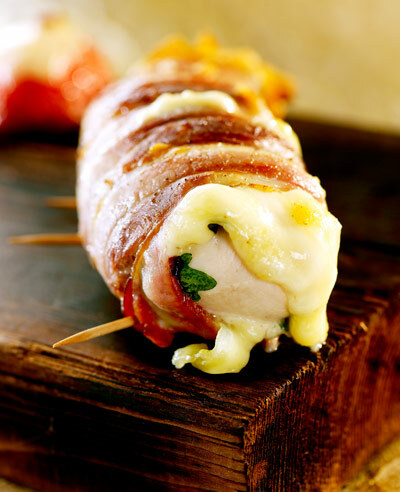 Wrap two slices of bacon around each chicken roll and secure with two or three wooden skewers. Grill or broil the chicken for about 4 minutes on each side. Let rest for a couple of minutes before serving.